Another cold morning for Capt. 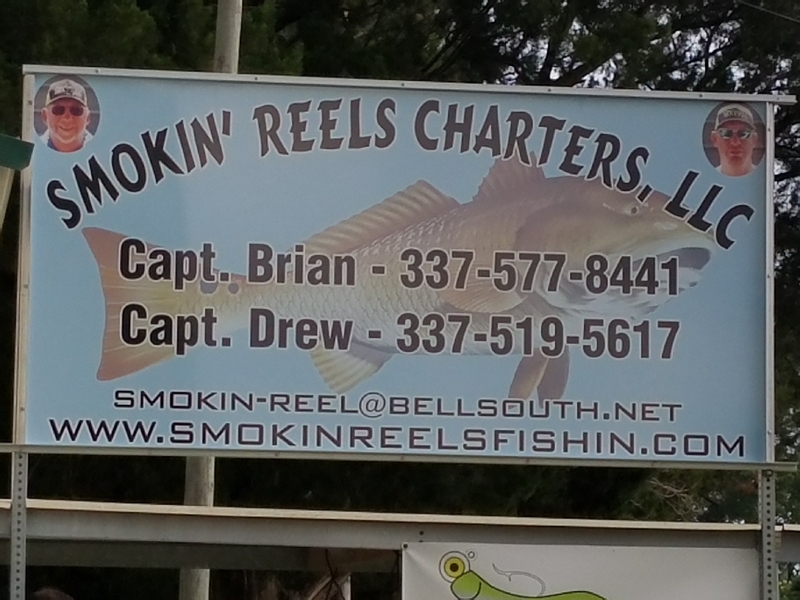 Brian with Smokin’ Reels Charters. Low water and windy but turned out to be a beautiful day! Had Mr. Clark from Ontario, Canada learned a lot of history from him today while he was jerking on them hard fighting reds. Had a great day limiting out on real good Vermilion Bay Redfish!!!! Water was stained pretty bad today when bite slowed we tip the great MATRIX SHAD with shrimp and it was on again! Get your Matrix Lures and baits at Hebert’s Mini Mart, Las Stop Marina and Suzie’s Bait & Tackle the best prices around.